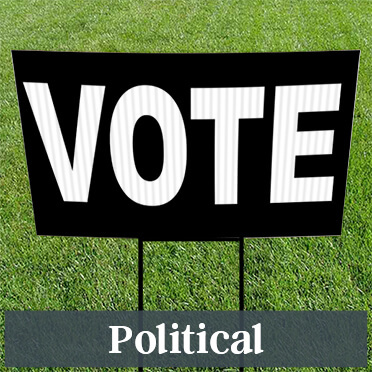 Our custom plastic yard and lawn signs are versatile and affordable, making them the perfect choice for promoting just about event, including signs for garage and yard sales, political campaigns, voting drives, real estate sales and rentals, neighborhood events, small businesses, and more! 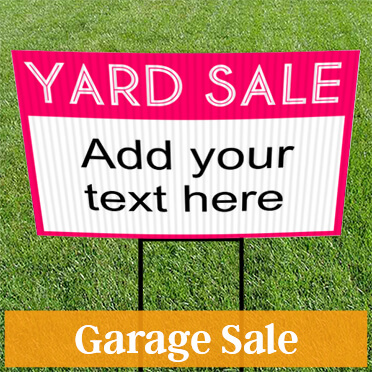 You can also easily design a custom yard sign from one of our pre-made templates or make one from scratch! 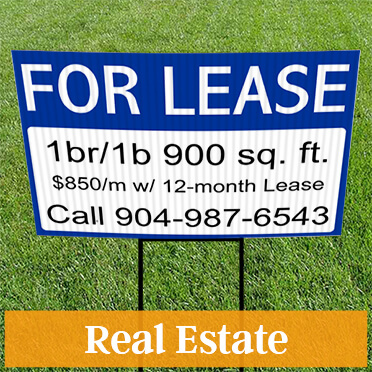 Our fully customizable yard signs are available as single or double sided and come with your choice of: background color, custom text (including font style, color, size, and placement) and laminate coating for extended outdoor use. You can also upload your own art or logo! If you need help placing your order or customizing your sign, our Customer Focus Team will be glad to help! Contact us now!